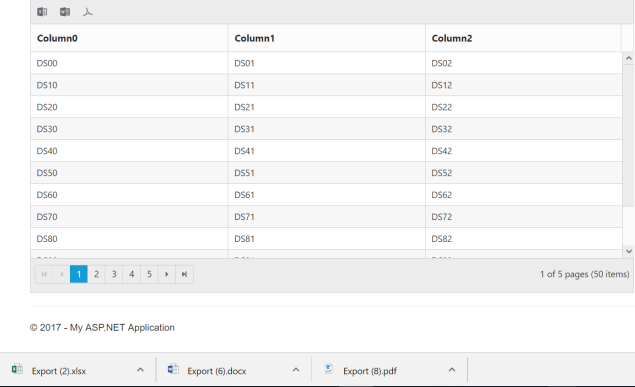 How to export dynamic list using TypeBuilder in Grid ? In some cases, there is a need for the user to export list of objects. It is possible by using the TypeBuilder Concept. In this concept, type for each column will be collected from the Grid Model and generated the Virtual Class. Later, using the Virtual Class instance the given data will be deserialized and then assigned as dataSource to the Export method. The following screenshot shows exporting the List of plain objects using the TypeBuilder Concept. Figure: Export the List of plain objects using the TypeBuilder Concept.